Tomorrow Friday 30 January at The Brewmaster nr Leicester Square Tube (Exit 1 and turn left at the top of the stairs into "St Martin's Court") from about 5.20 onwards. Tomorrow Friday 23 January at The Brewmaster nr Leicester Square Tube (Exit 1 and turn left at the top of the stairs into "St Martin's Court") from about 5.20 onwards. As usual, at The Brewmaster nr Leicester Square Tube Station (Exit 1 and turn left at the top of the stairs into "St Martin's Court") from about 5.20 onwards. The majority of council services are funded by government grant, not council tax. As such, the private property [i.e. incomes] of our poorest citizens is taxed to fund free services for some of the world’s wealthiest landowners. Far from heading to Scotland, revenue from a mansion tax would only partially offset the public spending that pours into London infrastructure and services, feeding into high rents and house prices. In an ideal world, we’d abolish central government grant funding for all but the poorest areas, but a mansion tax is a step in the right directon. Which shows you how much tax working households would save if we had a 50/50 tax system with just two main taxes, flat 20% income and full-on LVT, is now available here. 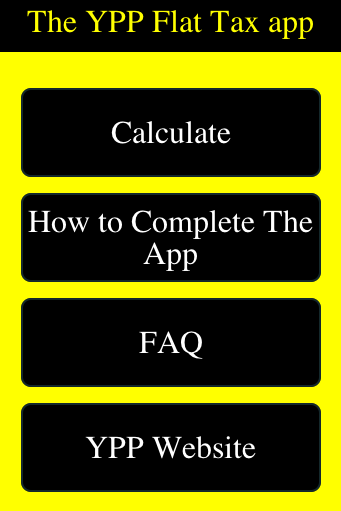 It's still not final and the downloadable app will follow in due course.